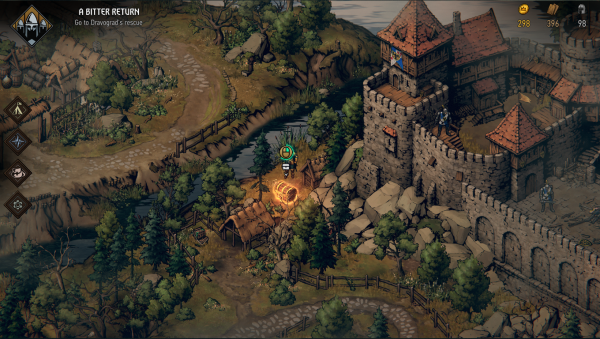 In between fighting battles, gathering resources and making questionable decisions, there are some golden chests scattered across the map for you to find in CD Projekt Red’s Thronebreaker: The Witcher Tales. Thronebreaker: The Witcher Tales is the latest RPG title in The Witcher franchise. It’s a 30-hour adventure lead by Queen Meve of Lyria and Rivia and builds on the lore of the enormous Witcher universe. it incorporates the Gwent card game as its mode of combat, as well as including the franchise’s trademark morally grey decision making. You may have noticed some golden chests on your travels. 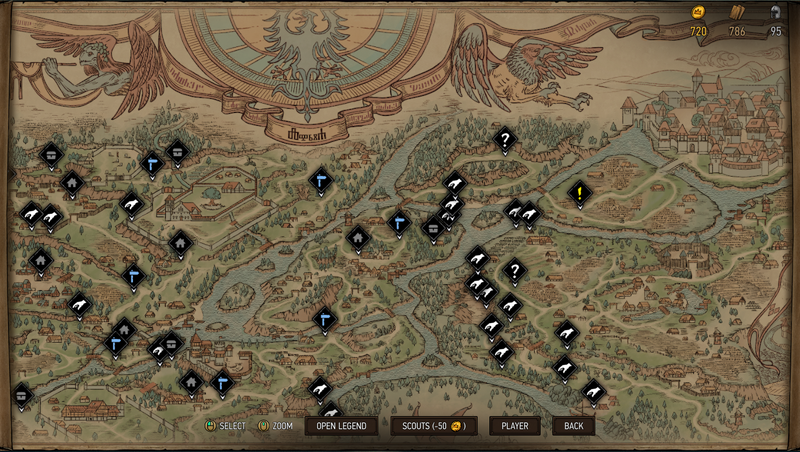 Some are obviously placed and others a little harder to find, so here’s where to find them all on the Lyria map. Their loot can vary from avatars and cards to use in the standalone Gwent game and it’s definitely one for the completionists out there. The first one is just right of the starting waypoint marker. Head over to the Hawkesburn waypoint to find the next chest, which is on a hill just Northeast of the waypoint. East of Hawkesburn, near the bridge past the next waypoint is where you’ll find another chest/. Follow the path South to the next waypoint to find the fourth chest, which is on the left. Go South down the main path again and hug the wall to the West to find the next chest. Head back the way you came and travel Southwest across the bridge to find chest number six. Head East from this chest until you reach Rastburg. Divert from the path and head west from Rastburg, going around the castle to find the next chest. The next chest is in the Northeast tip of the middle island on the map, just East of the waypoint. Another is located near Dravograd. One is located on the island in front of the castle, just to the West of the main path. To reach the final chest, you’ll need to go around the castle to the East, cross back over to the mainland and follow the path round to the Southwest to the second waypoint. 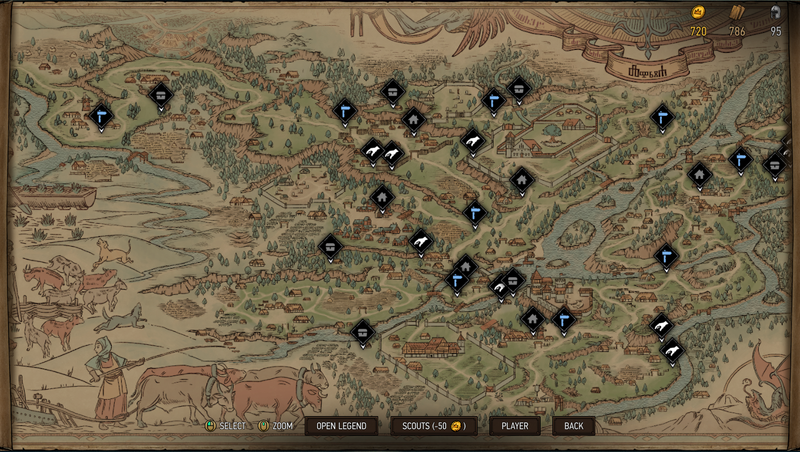 Diverge from the path onto the farmlands to find the chest. Thronebreaker: The Witcher Tales is out now on PS4, Xbox One and PC.